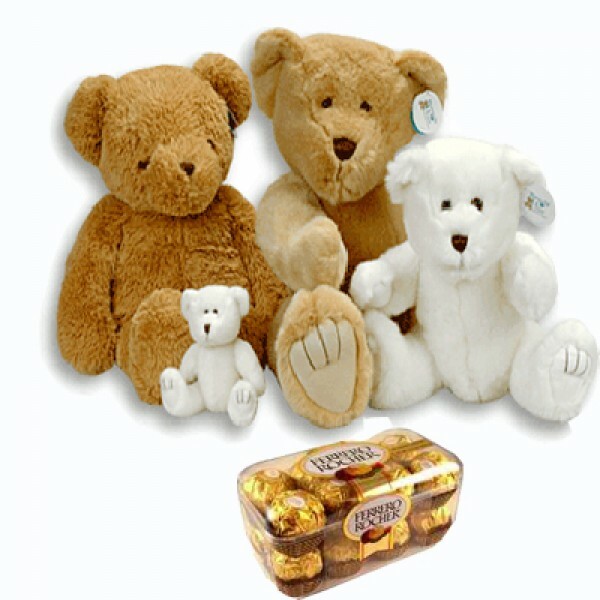 A very attractive soft toy hamper. 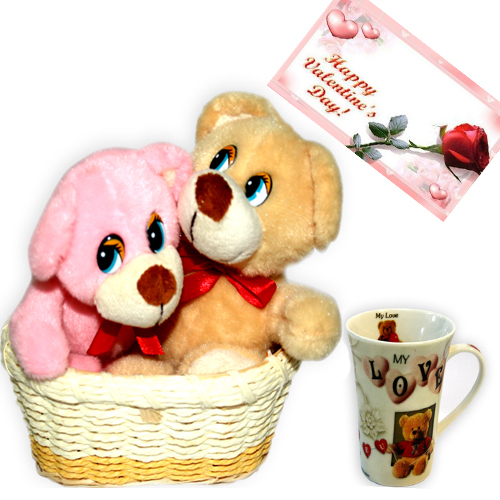 An ideal gift for your sweet heart. 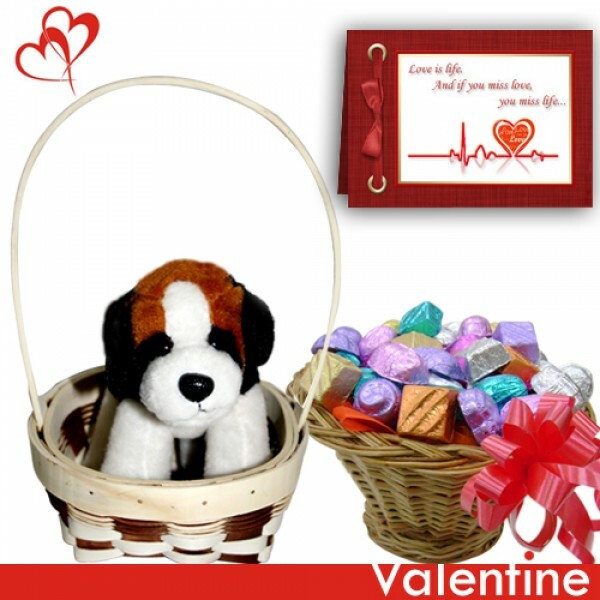 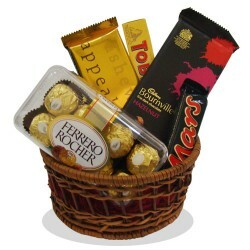 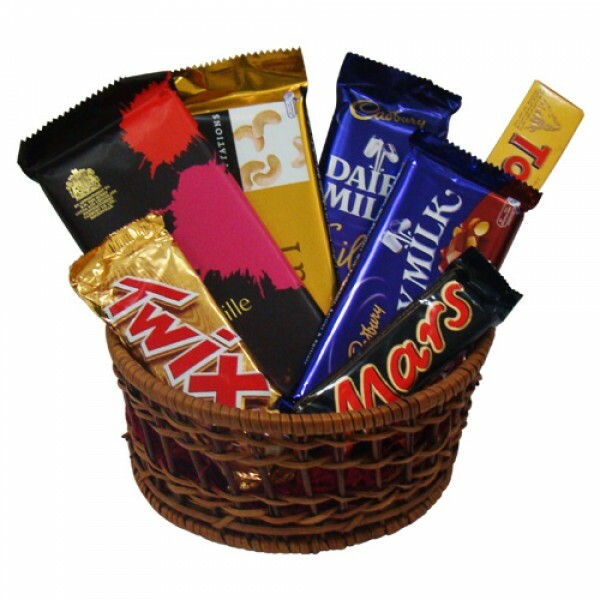 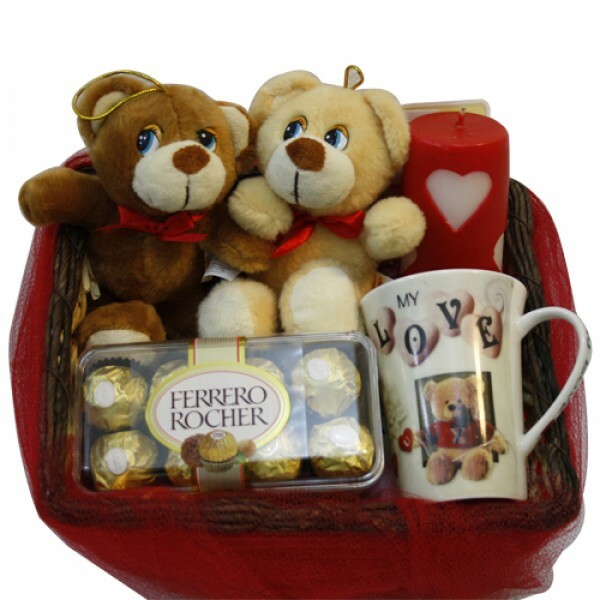 Hamper Includes: 2 teddy bears 6 inch, one red candle, 200 gm ferro rocher chocolate box, coffee mug in a basket.